Skin laxity and sagging skin affects everyone. You find it most noticeably in the neck and facial areas, and all parts of your body. You may have tried skin tightening creams, lotions, and exercise but nothing has helped the loose skin you are experiencing. Time to give radiofrequency a try. The field of body contouring and skin tightening has expanded over the past several years. Many new devices have appeared on the market that utilize radiofrequency (RF) energy to tighten and rejuvenate the skin. We use nonablative RF, requiring no surgery. RF uses the tissue’s resistance within the various layers of the skin. It transforms the RF energy given to the skin into thermal energy. Since RF energy produces an electrical current instead of a light source, it minimizes tissue damage. RF does not damage epidermal melanin, so it can be used for patients of all skin types. It allows for different depths of penetration based on what is to be treated. Treatment can include both ultimate collagen contraction and new collagen production. Take advantage of the original “Skin Tightening System” and realize the benefits that deep dermal heating can do for your loose skin. Please contact us for an aesthetic consultation so we can address any of your concerns. 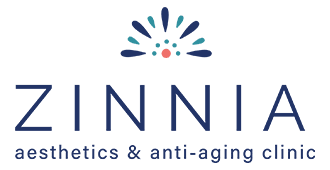 At Zinnia Aesthetics & Anti-Aging Clinic we strive for complete patient satisfaction. See for yourself the difference!